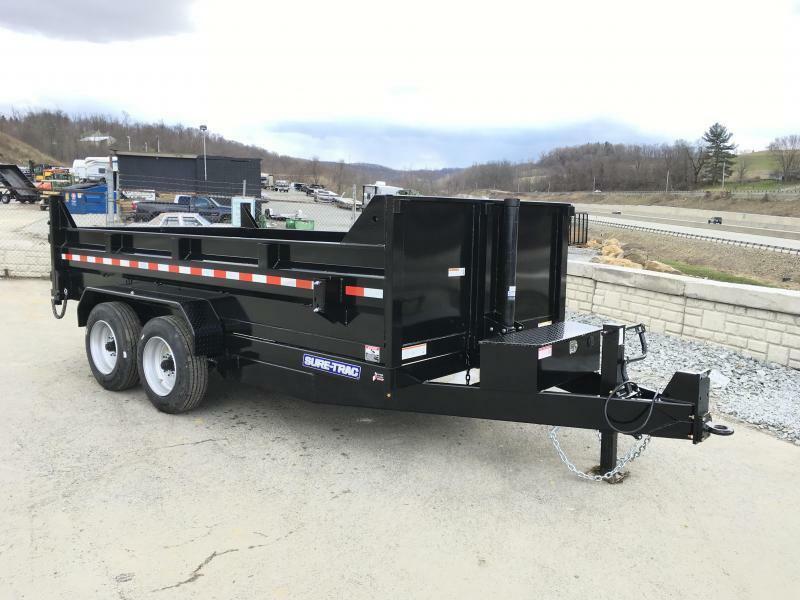 EQUIPPED WITH OPTIONAL HEAVY DUTY PACKAGE, INCLUDING 8000# AXLE UPGRADE (INCLUDES 8" TONGUE UPGRADE, HEAVY WALL MAINFRAME UPGRADE, 12K JACK, HD NOSEPLATE COUPLER, 8000# AXLE RUNNING GEAR) AND A TELESCOPIC HOIST UPGRADE. 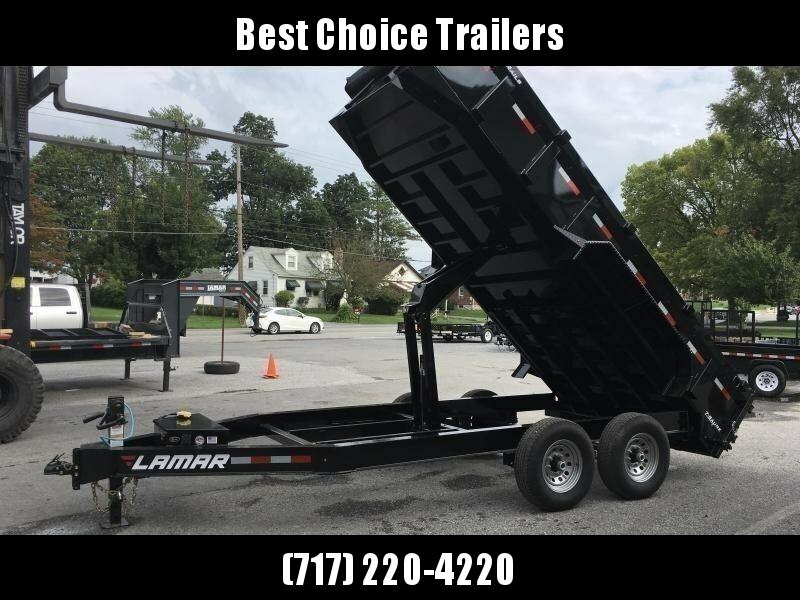 THIS IS ONE BAD TRAILER. 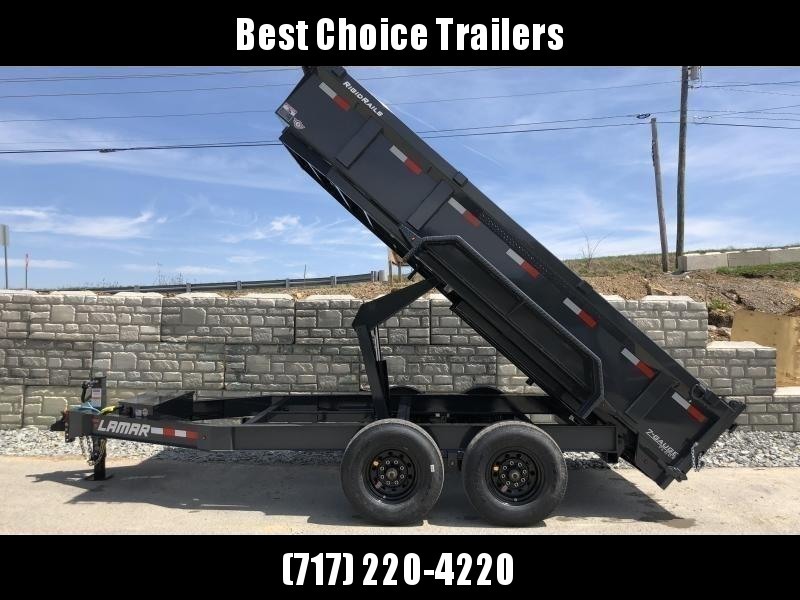 Heavy Duty Low Profile Dump - The heavy duty low profile dump is our most common Sure-Trac dump as it is a tremendous overall value. 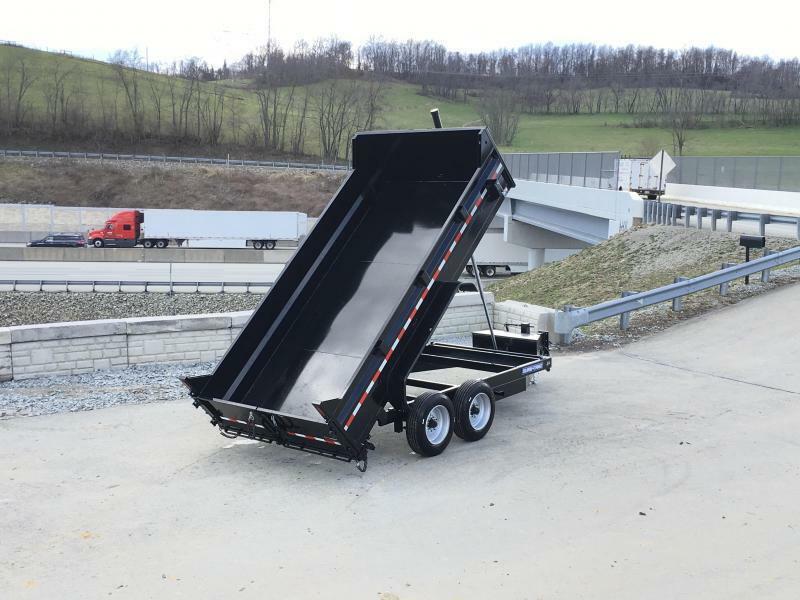 The low profile dump the only way to go if you are loading anything with ramps, or if you want a lower and wider, more stable platform. 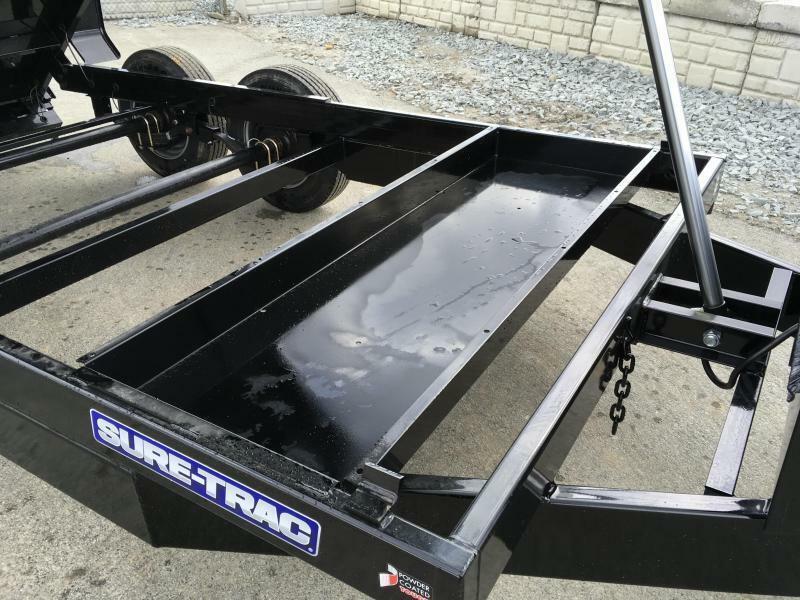 In recent years, Sure-Trac has added a handful of standard features, including an underbody tool tray, heavy duty double broke fenders, stake pockets, slipper spring suspension with wet bolt kit, heavy duty jack and coupler, and more. 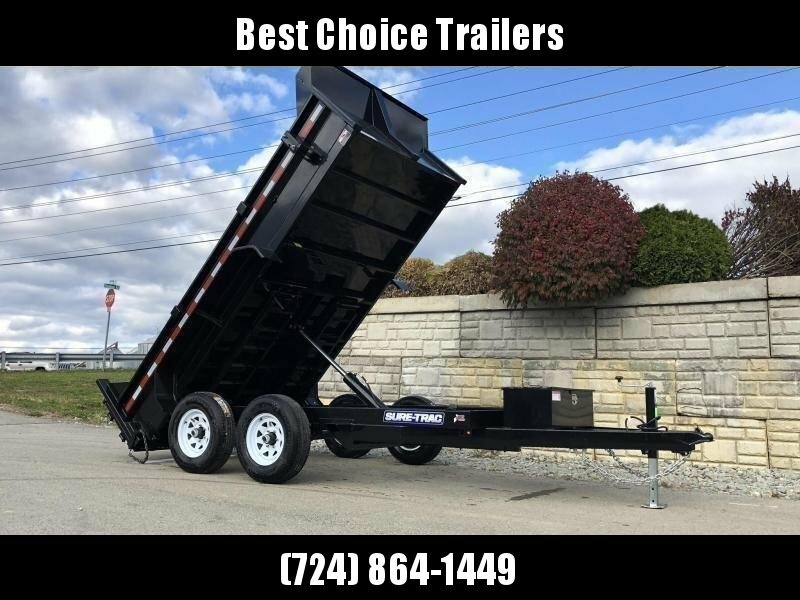 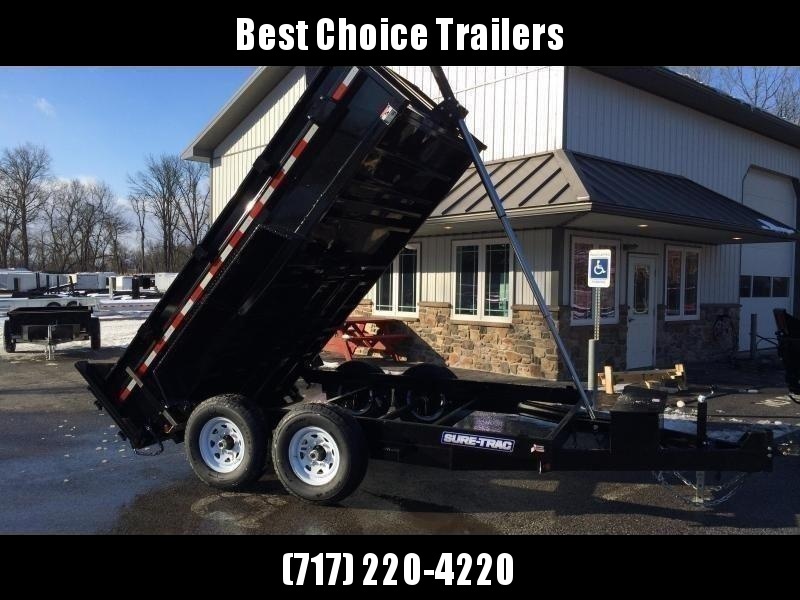 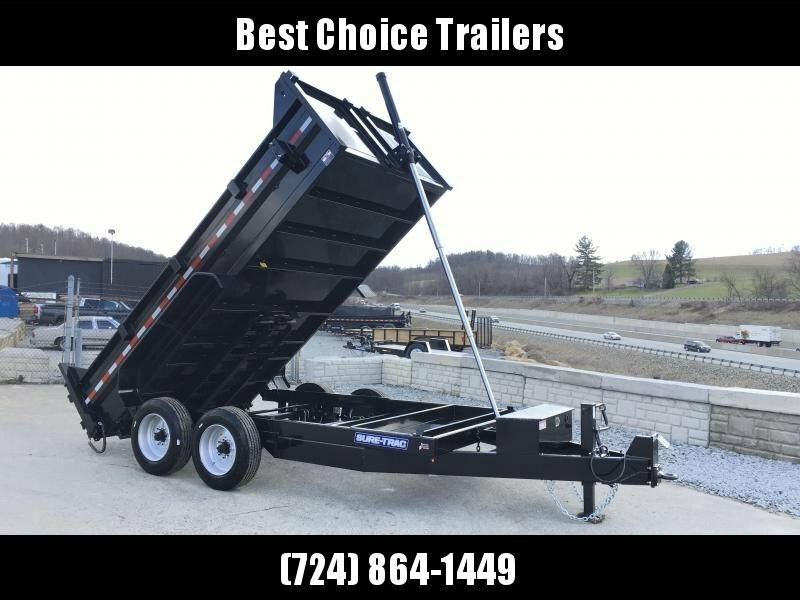 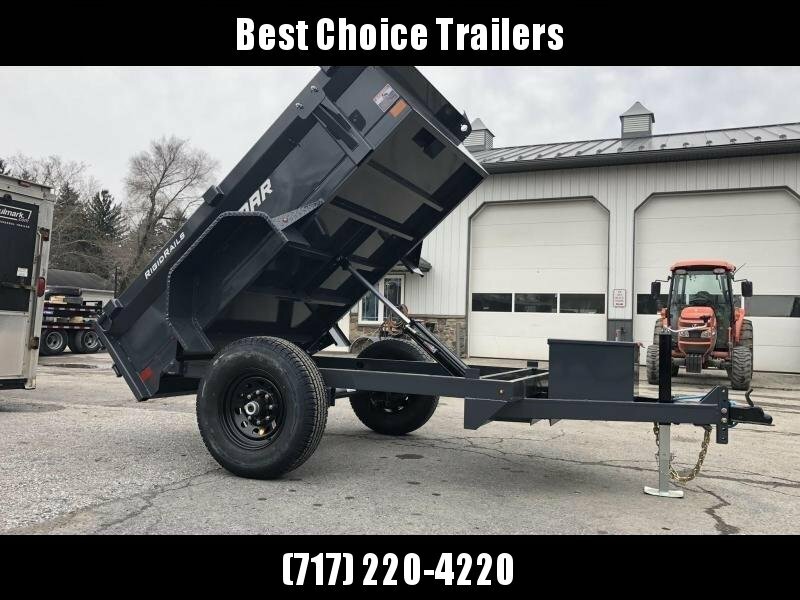 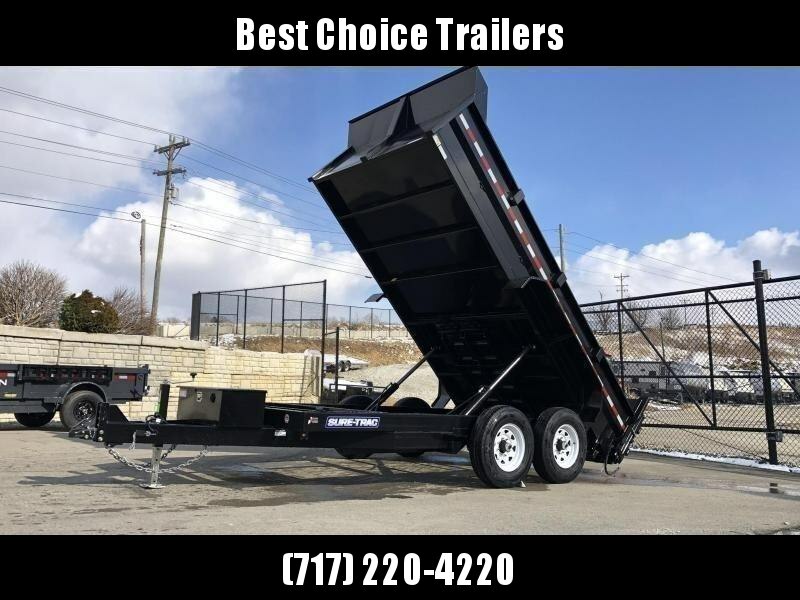 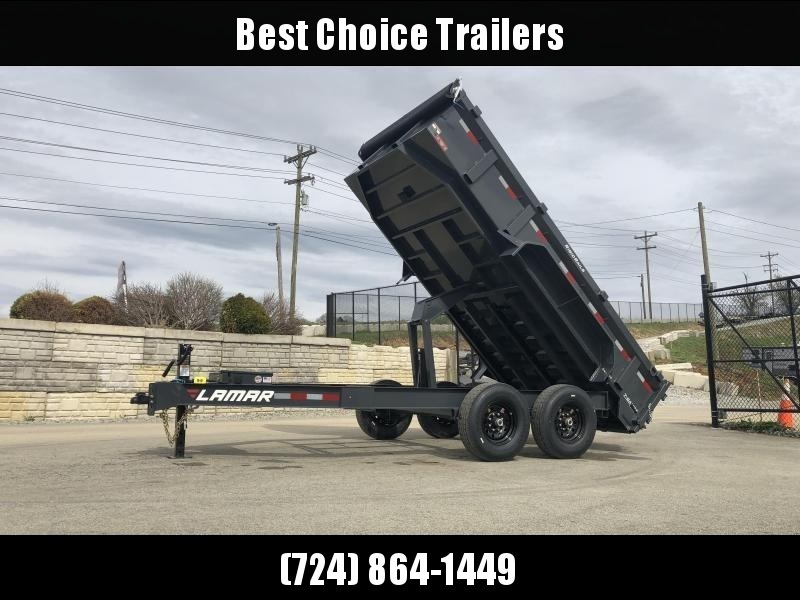 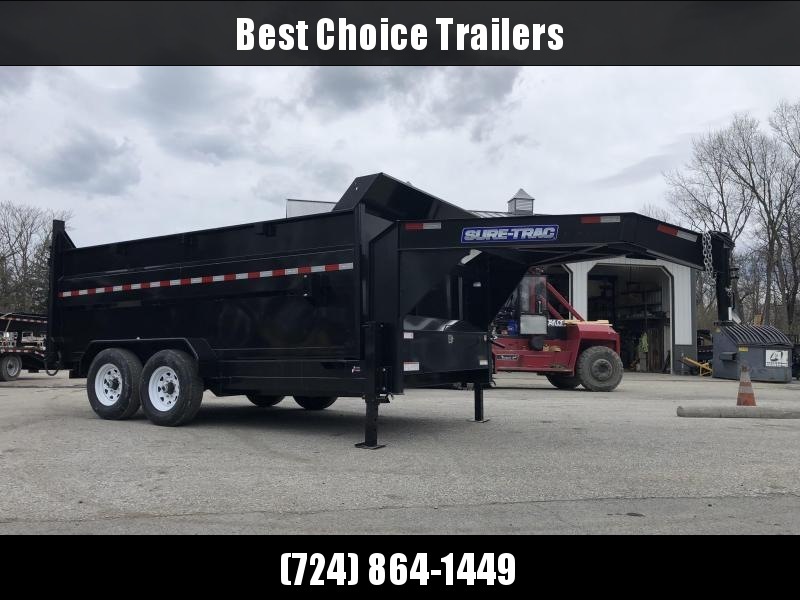 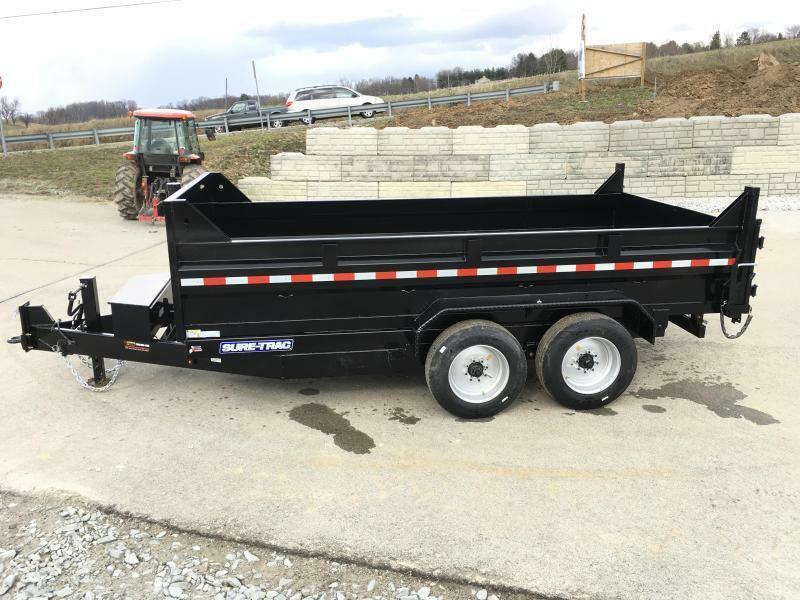 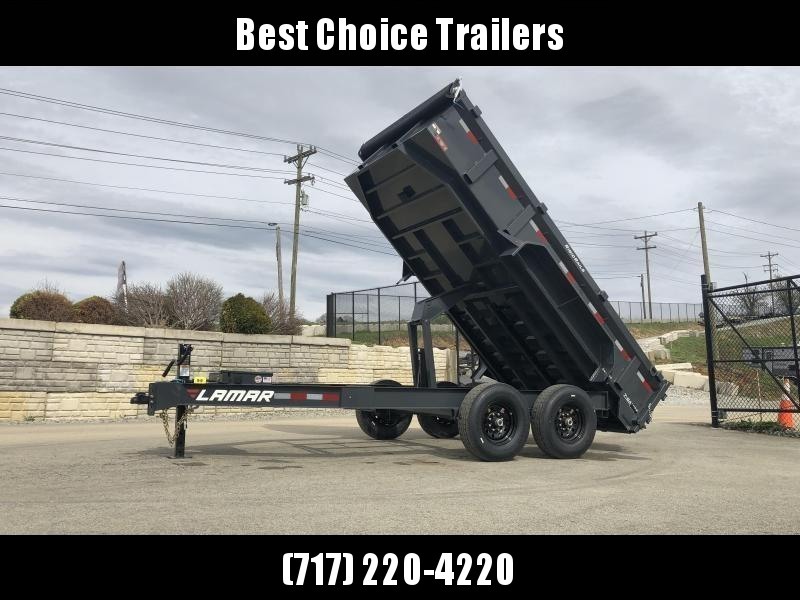 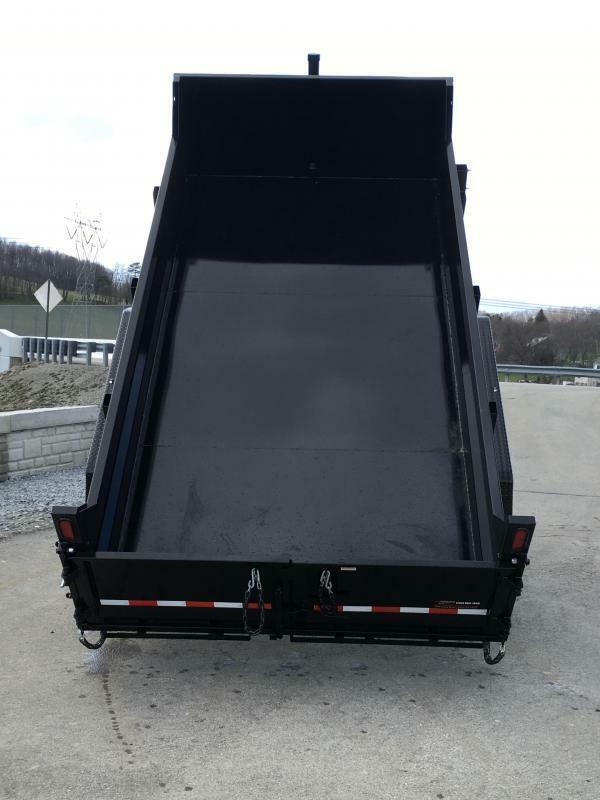 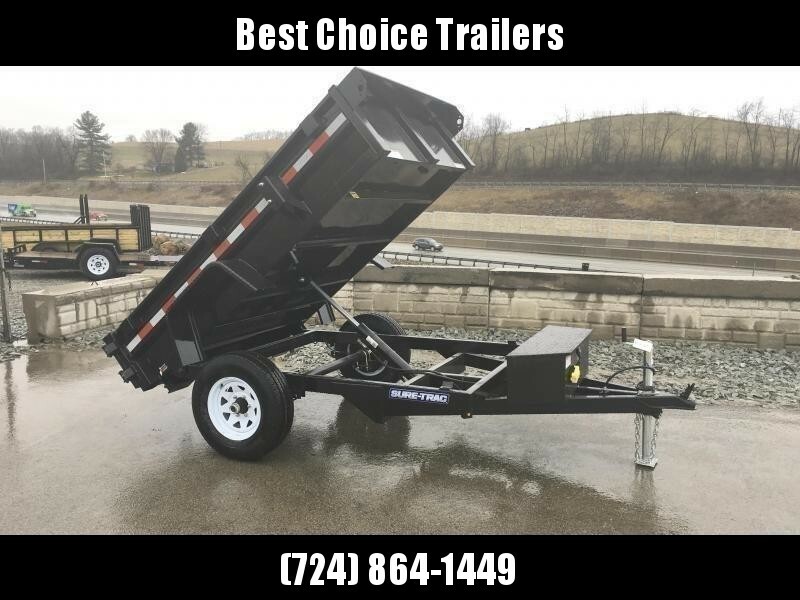 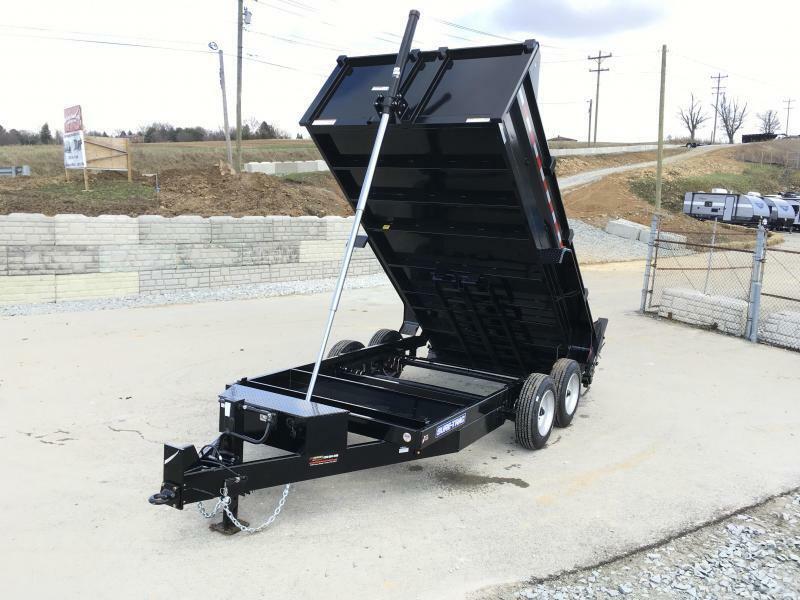 The 7' wide heavy duty dump is ideal for loading most larger equipment, such as a skidsteer/bobcat, a large compact tractor, a mini excavator, etc. 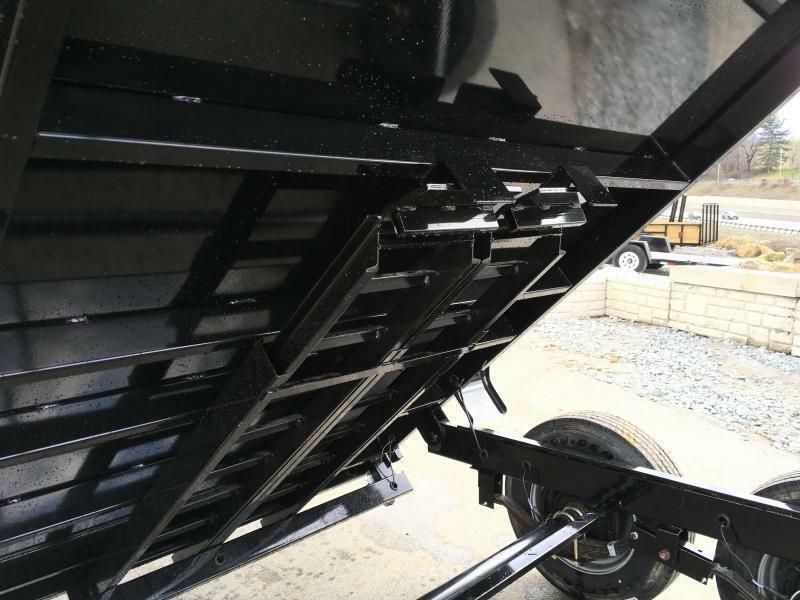 One downfall to the lower profile model is your piles are extended a bit further than a deckover as you'll need to pull further forward to unload. 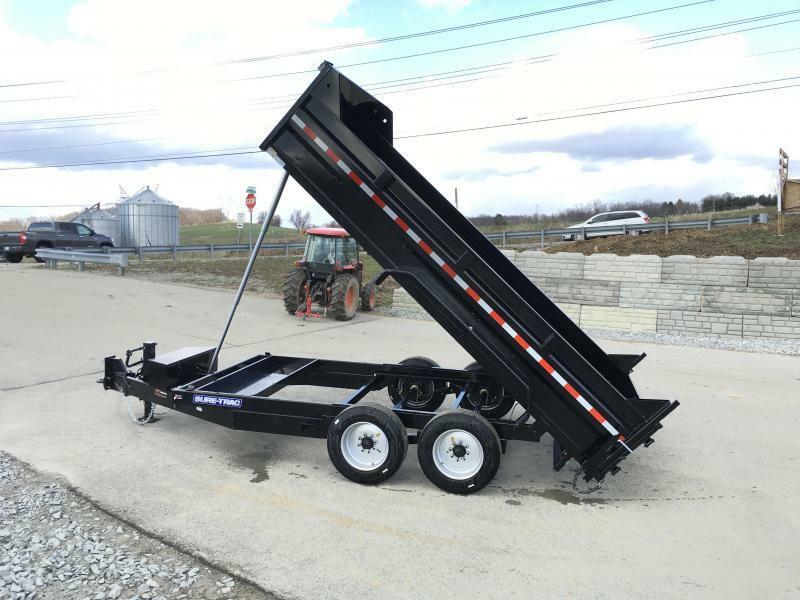 The major advantages to a low profile are a lower center of gravity, it's much easier to load, and has a lower deck height if your hand loading material. 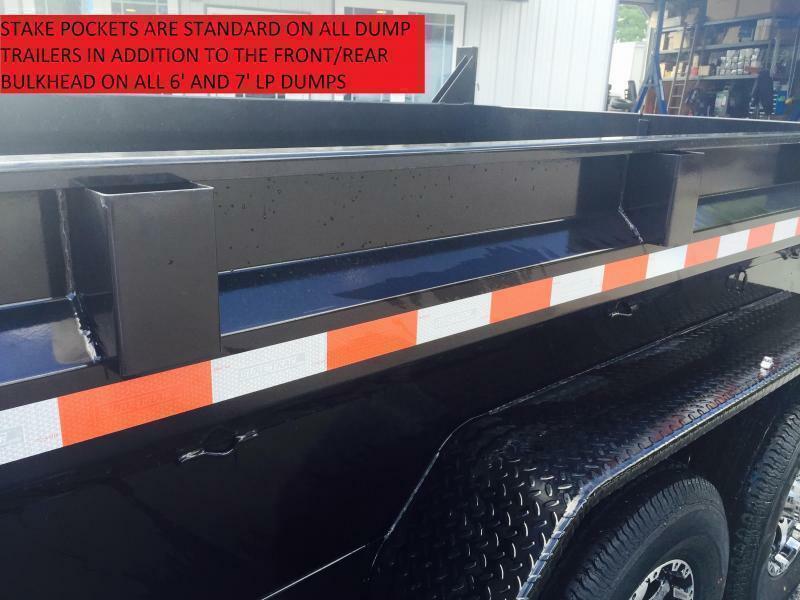 The 7' low profile dumps packs a lot of value - standard features such as: power up/down, smart integrated side panels, radial tires, triple tube tongue, tubular mainframe and tongue, sealed LD bullet lights, tarp shroud, spare tire mount, D-rings, front and rear bulkhead, 10 gauge floor, combo/spreader gate, undermount ramps, sealed wiring harness, 2' sides, etc. 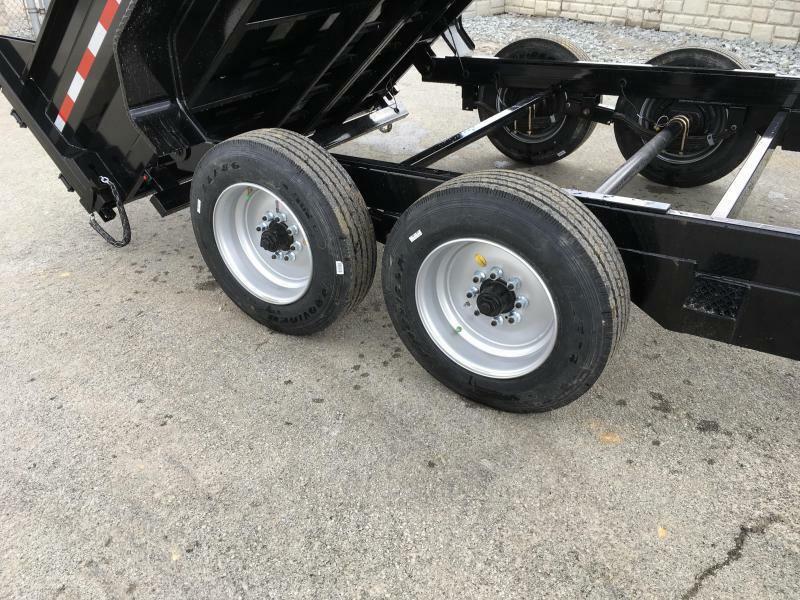 Sure-Trac also offers a 24" sidewall standard, whereas we see some only offering a 20" sidewall. 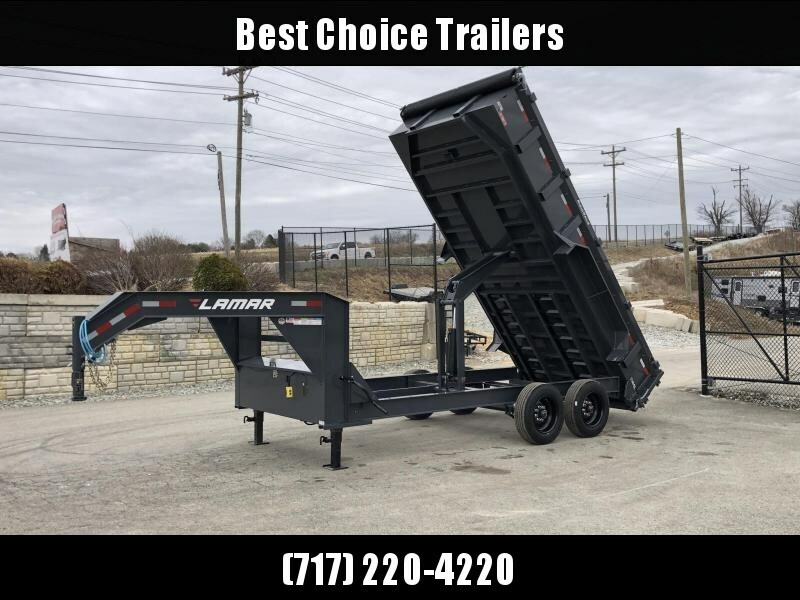 While this model is offered in several weights and sizes, our "bread and butter" models would be the 7x12 12K HD, 7x14 14K, and 7x16 14K. 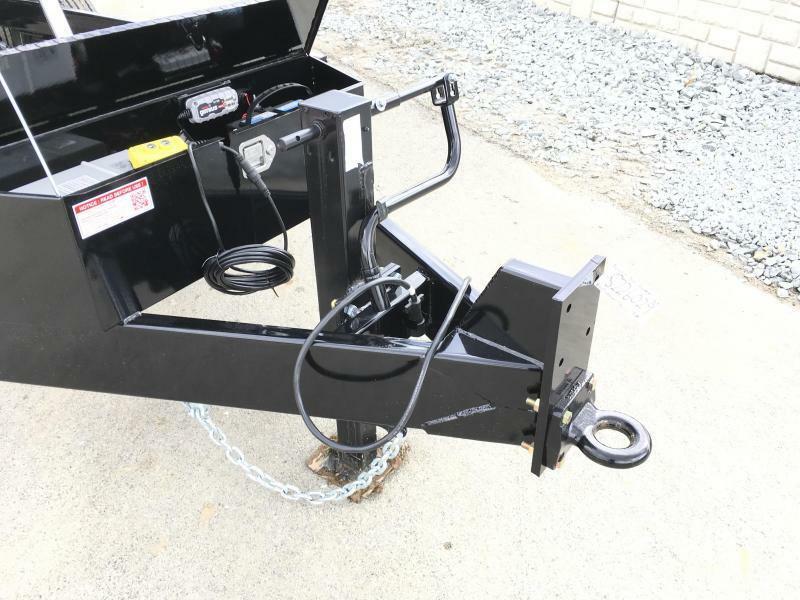 Sure-Trac offeres a variety of hoist types (dual ram, scissor, telescopic), but the standard and most common hoist is a dual ram. 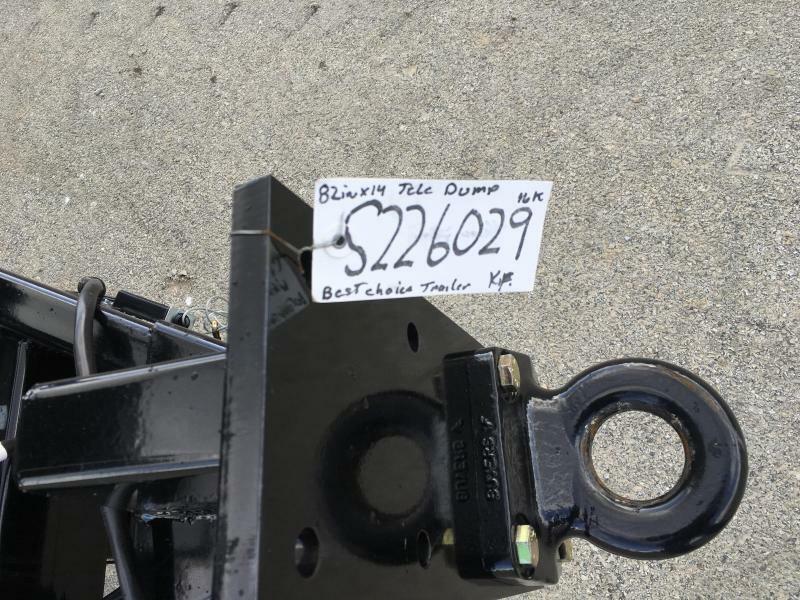 We often have all 3 of the hoists available. 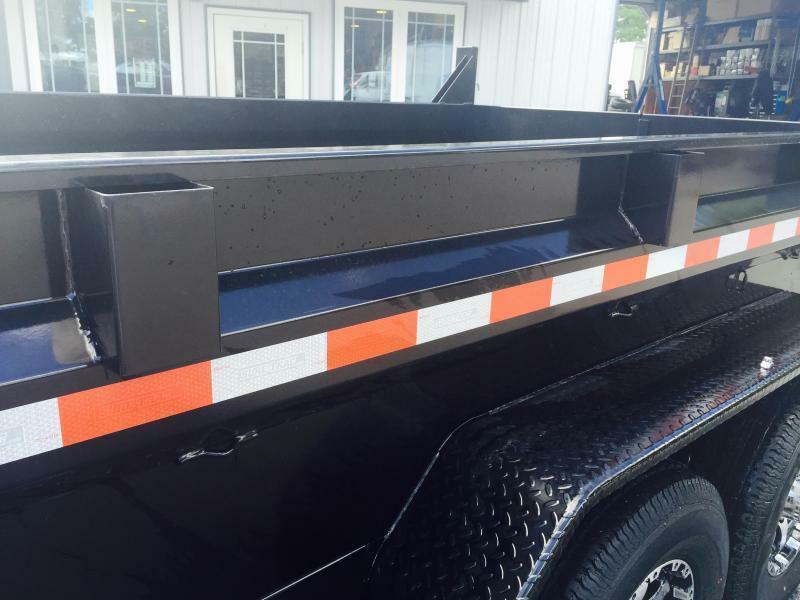 The HD models come in 12000#, 14000#, and 16000# weights, and 7x12, 7x14, and 7x16' lengths. 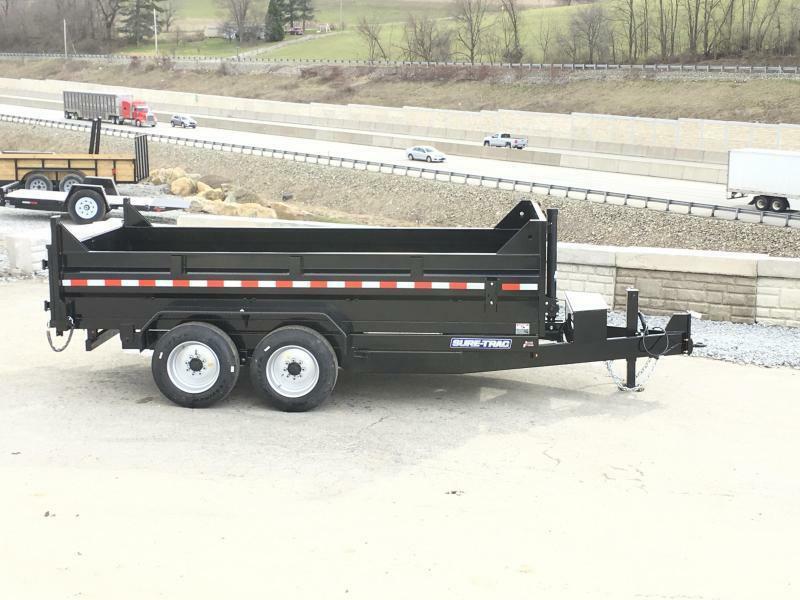 The ideal tow vehicle for this dump would be a larger AAAAAAAAAAÂ½ ton truck such as a 5.7 Tundra or similar, AAAAAAAAAAÂ¾ ton gas, or a AAAAAAAAAAÂ½ ton diesel (12K dump only). 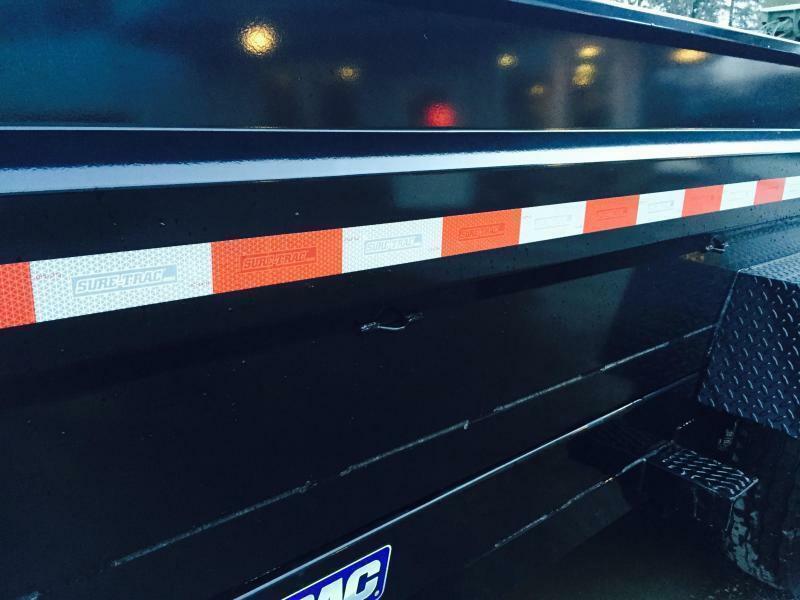 A AAAAAAAAAAÂ¾ ton-1 ton truck on the 14K/16K models. 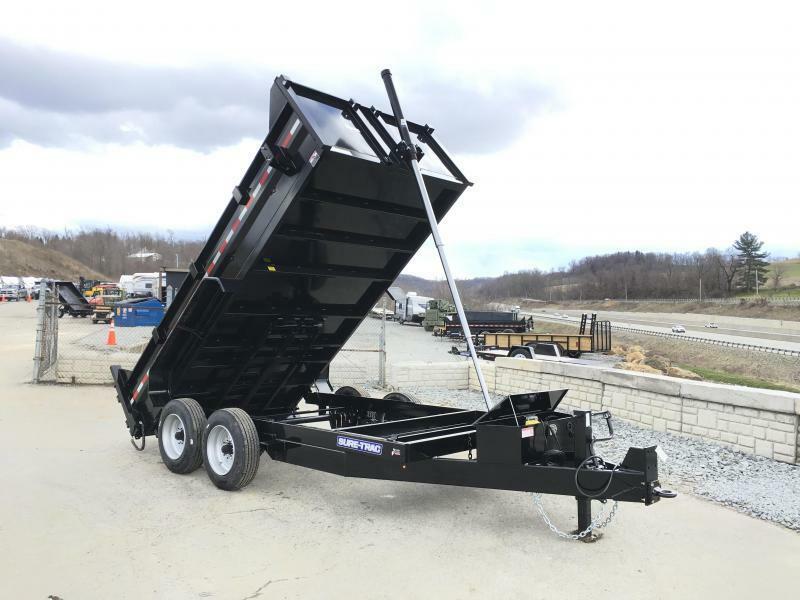 Sure-Trac powdercoats all of the models with one of the most durable finishes in the industry, thanks in part to state-of-the-art equipment in their new dump plant. 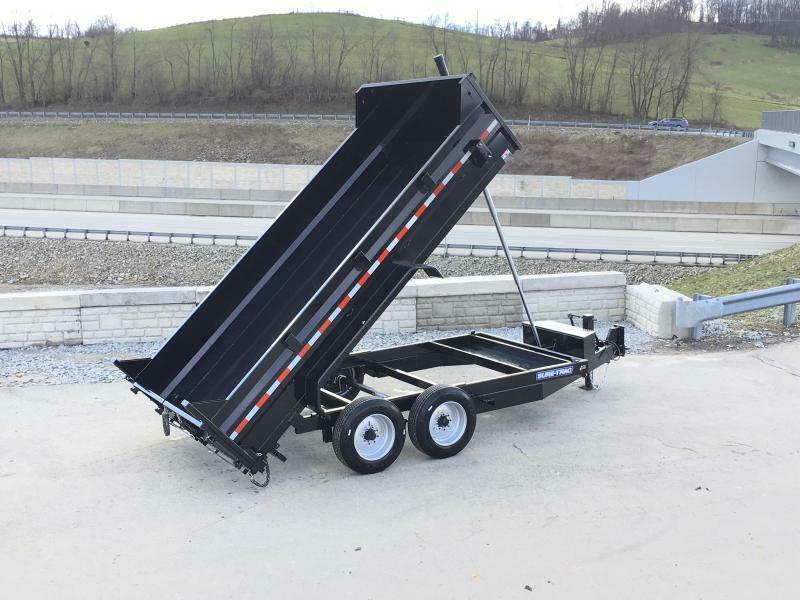 - Undermount Ramps (All Sure Trac ramps are undermount for ease of access. 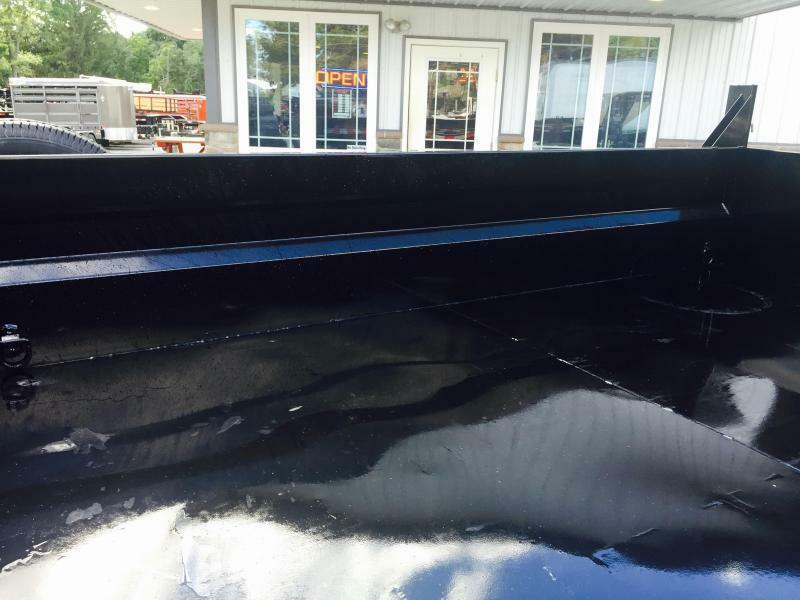 The ramps are approx. 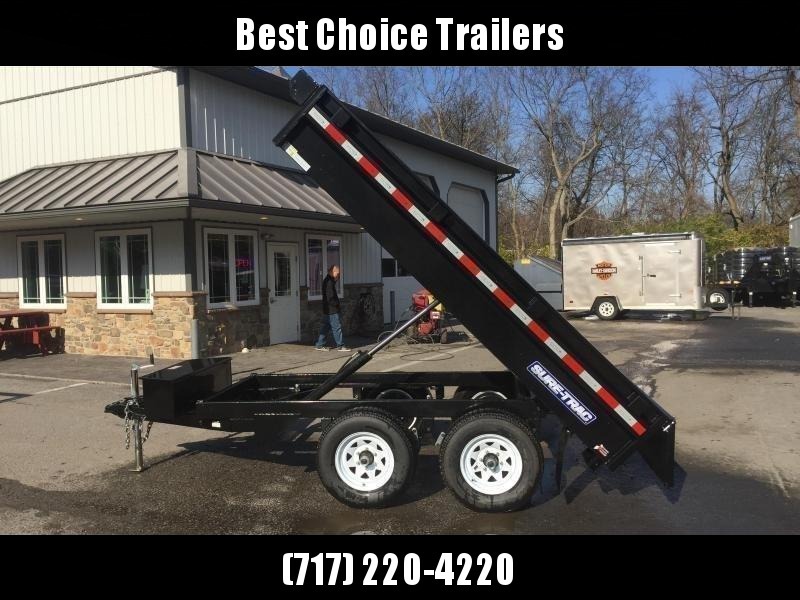 80" long, providing a sufficient load angle to load most machinery. 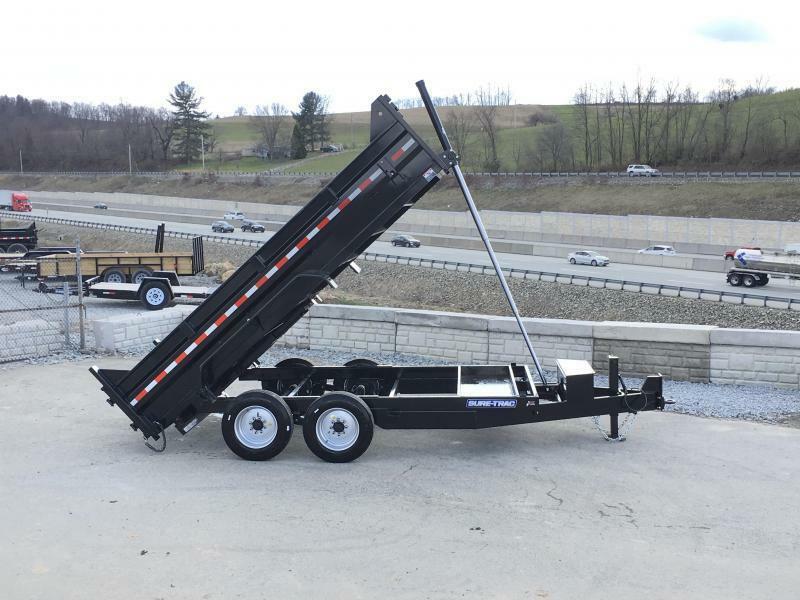 Some manufactuers advertise 5' ramps while others hang their ramps on the not...not exactly user friendly!). 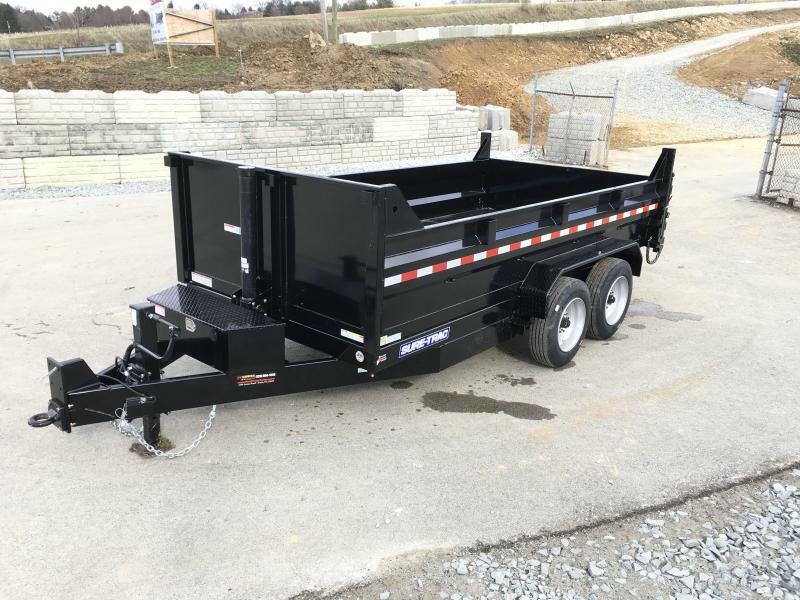 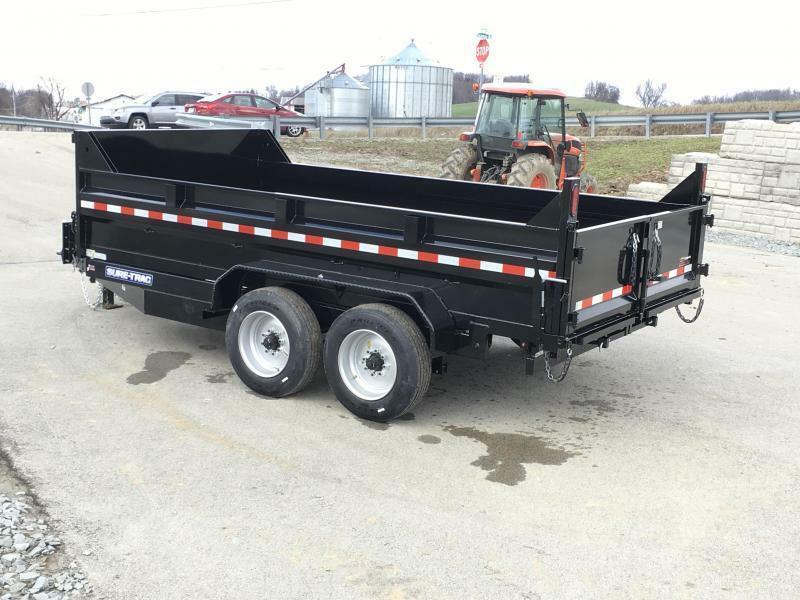 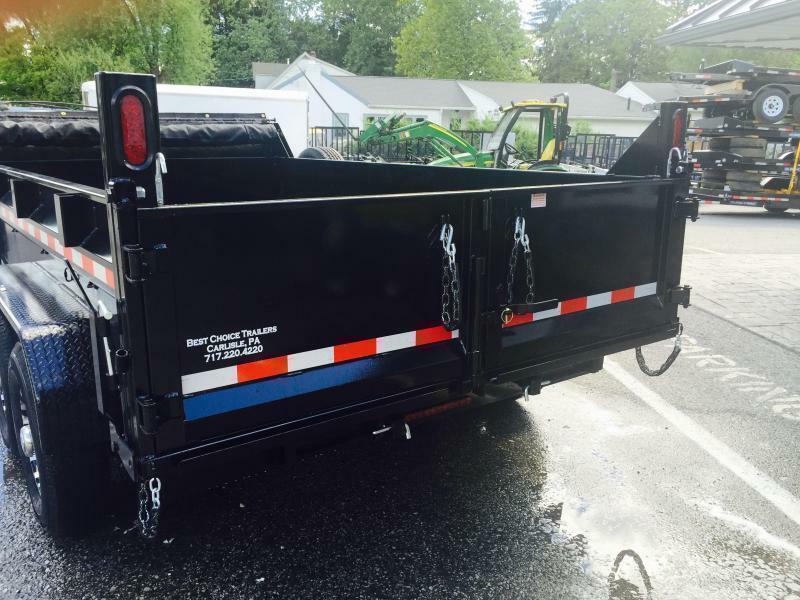 - Lower deck height...than most (We find the deck height of Sure Trac dumps to be just about right, 6' wide low pro's are 27", 7' HD low pro's are 29". 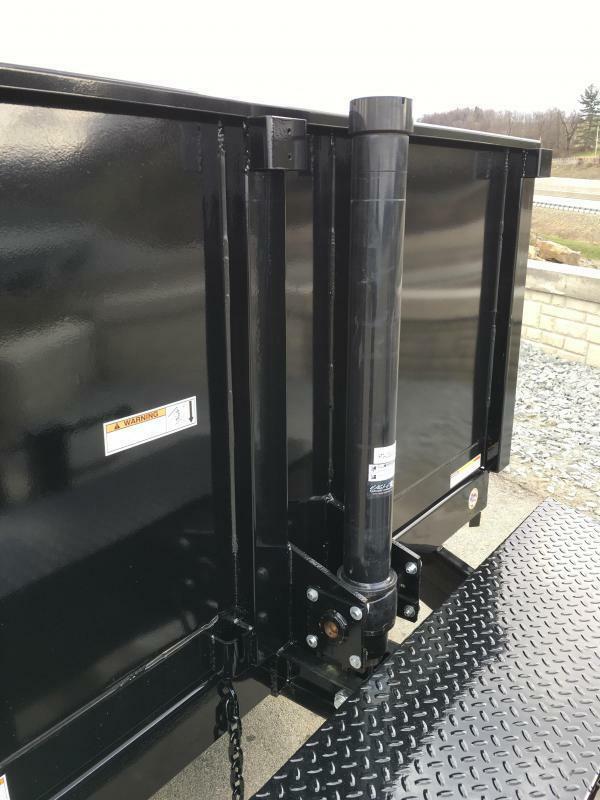 Many in the industry sit at about 32" on a 7' low pro, and some of the new lesser common super low pro's are as low as 25" load height. 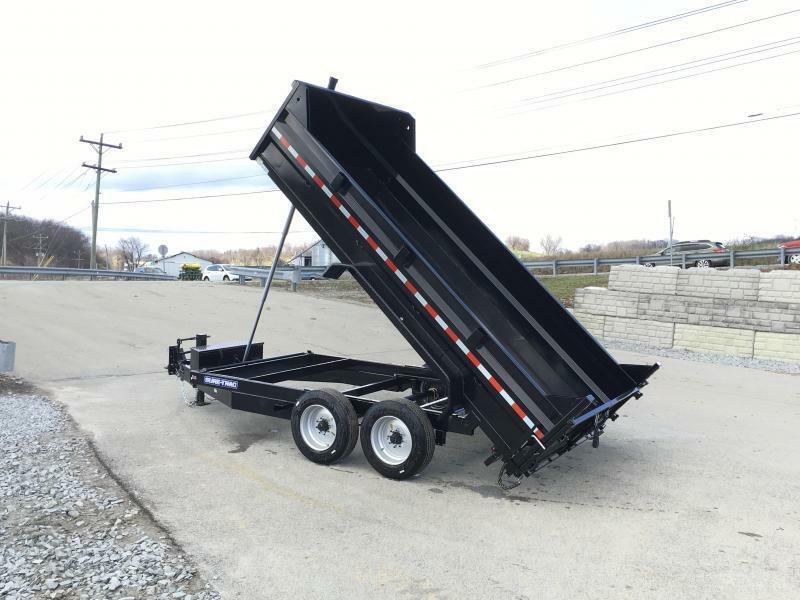 The 29" height is a good balance between a low load angle, and having sufficient ground clearance when dumping).